Located in Central Rd, Port Macquarie. Welcome to the lost plot! 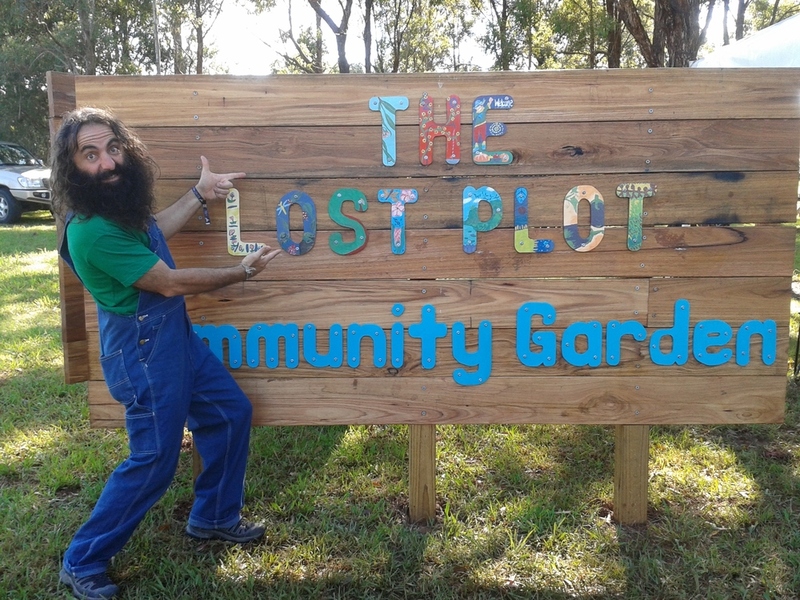 The Lost Plot is Port Macquarie’s Community Garden. It is a constantly evolving community space open to anyone regardless of age and ability. It is a place where people can come together to grow and learn about growing food, to connect to like-minded people, to share knowledge and skills and most importantly, to have fun. After much anticipation and planning, The Lost Plot became operational in April 2014, when Costa Georgiadis (from Gardening Australia) launched it to a crowd of more than 800 people. 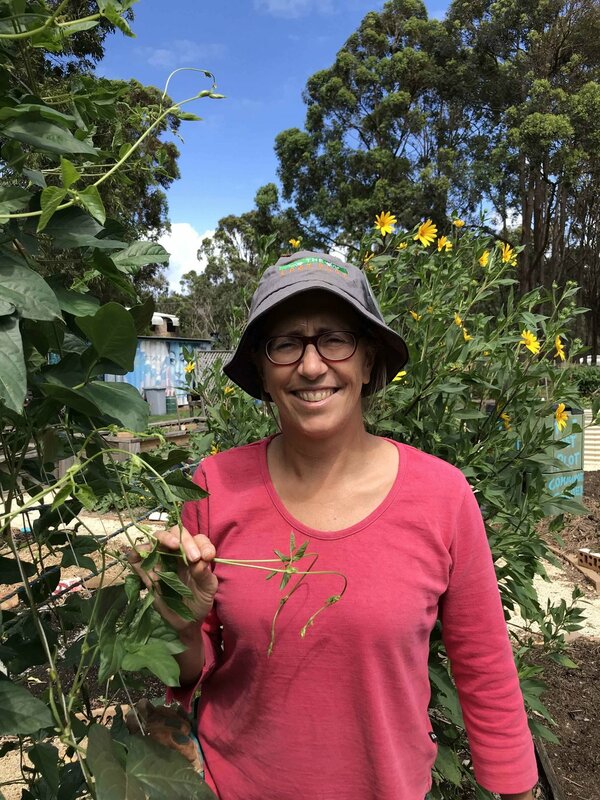 Initiated by Port Macquarie-Hastings Council, the community garden is now entirely managed by volunteers through Port Macquarie Community Gardens Inc. The Garden is envisaged to grow into a vibrant space that provides opportunity far broader than the gardening itself. It is a place for learning, celebration, growth, reflection, arts and creativity; through workshops, community events, festivals and various projects. Becoming involved in Community gardening has many benefits. It is an opportunity to connect to your community and make new friendships, while learning about growing fresh fruit and vegetables, decreasing your food costs, and being inspired to live a healthier lifestyle. 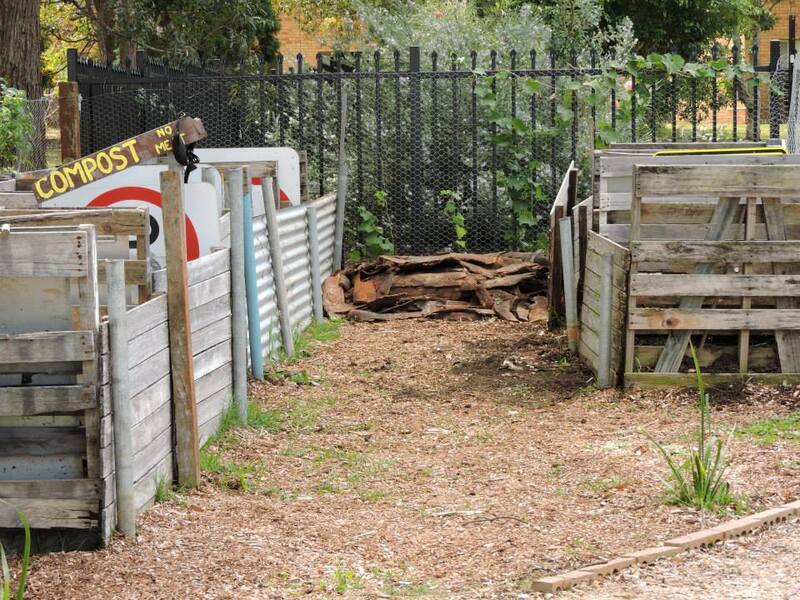 At The Lost Plot, there are frequent opportunities to develop new skills, be involved in creating artworks, or participate in community celebrations. Gardening is also a wonderful way to exercise, enjoy the outdoors, and alleviate stress. At The Lost Plot, food is organically grown under permaculture principles. Diversity is key to healthy plants and soils, and we grow a range of crops in a developing rotation system. There are regular working bees where people are encouraged to participate, learn new skills and/or share their knowledge. We encourage our ‘bees’ to become members for a small annual fee, and in return, members are welcome to share in the harvest of the garden. At each working bee ready-to-pick produce is harvested and divided amongst those present. We request that the relationship between the member and the garden remains one of give, as well as take. Often members bring excess produce or saved-seeds from their own gardens to swap or share, and there is never a shortage of tea, coffee, or delicious treats for morning tea. 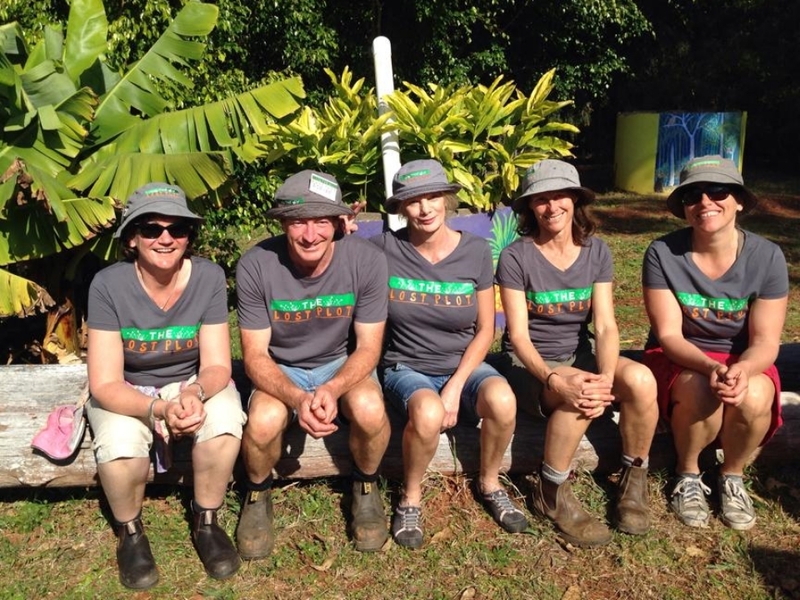 Port Macquarie Community Gardens is a not-for-profit organisation and all funds raised through membership are fed back into the management of the garden. We are currently seeking sponsorship from local businesses and organisations. We are seeking funding in order to continue offering a broad range of high quality workshops at The Lost Plot. We'd absolutely love to have you on board! Click this button to access our online membership form. You can also find us on Facebook! We update this page regularly with news, photos, and breaking news, such as "Workshop Cancelled due to Rain!" or "We need lots of helpers this weekend!" so it is definitely worthwhile following our page. Here we will introduce you to the committee members of The Lost Plot. However we must at this point mention that while the committee are a hard-working bunch of active members, they are not the only ones. We have many non-committee or ex-committee members who contribute to the garden, and we value them greatly. Reason for Involvement: I find gardening combines exercise for the mind and body. I joined The Lost Plot as it is a chance to give to the community but the benefits to me as a human being are enormous. I have always loved to garden and being part of a larger group has been a good learning process. I have made many new friends and expanded my knowledge of gardening. Favourite Part of the Garden: I love the food forest. This is the newest part of the garden. I have enjoyed the creative process involved in mixing plants together in an holistic way to achieve a self-sustaining food area. Favourite Tool in the Shed: A huge compost fork does it for me! Reason for Involvement: Jeff and I joined up when we moved back to Port Macquarie in 2017. We have our own garden including vegie patch at home, but love the idea of a community garden, love the workshops and the social contact, and are keen to learn as much as we can. It’s also an opportunity to give back. Favourite Part of the Garden: This is a hard one. I love it all. It’s such a happy place and always feels so alive and welcoming. I love pottering around and doing different tasks in the garden each week. I love the magic compost we produce, and the weed tea, and all the different plants, fruits and vegies, especially the more unusual ones. I also really like getting to know all the great people who hang out at the Lost Plot. It’s lovely to see new people being welcomed in too. Oh, and I do love the pizza oven – especially when Graeme’s cooking up a storm!! Favourite Tool in the Shed: Again, not sure I have a favourite. But I do think the compost aerating tool is a very clever, simple bit of gear. Reason for Involvement: I see my roles in the Community Garden as strategic, organisational and networking. Favourite Part of the Garden: The people who come out to be part of what is happening. Favourite Tool in the Shed: I love wheelbarrows! Because when my three daughters were little, they would always jump in for a ride on my backloads when working in the garden. Such fond memories! Favorite part of the garden: is the composting area. There are some very knowledgeable people who regularly volunteer in this area and I love working with them to gain knowledge about composting. I have used this knowledge to improve the soils at my home! Favorite tool in the shed Composting pitchfork! Reason for Involvement: I love gardening and love the idea of community gardens. The community garden's philosophy of sustainable living and community connectedness is so important. I feel is helps us in regaining a balance in our lives from the fast-paced and high-tech world in which we live. Favourite Part of the Garden: Growing food, learning how to build up soils, making compost, watching plants grow, sharing ideas and a cup of tea in the garden with like minded friendly people. Reason for involvement: I love gardening and get great pleasure from spending time with other passionate gardeners. Favourite Part of the Garden: Anywhere that I find a new idea or plant that I can try in my home garden. Most valuable thing I have learned as a member: that even the best gardeners have failures but these are great learning experiences. Favourite Event: The social events are always fun and I enjoy meeting new people. However I also love the workshops as I am a life-long learner and there is always something new to learn about gardening. Reason for Involvement: I joined the garden when I first moved to Port Macquarie and had a bit of spare time on my hands. I was also keen to meet some new people. I've become more and more involved because I love the garden and the people, and I am so grateful for all the knowledge and skills I have gained to help me in my own garden at home. 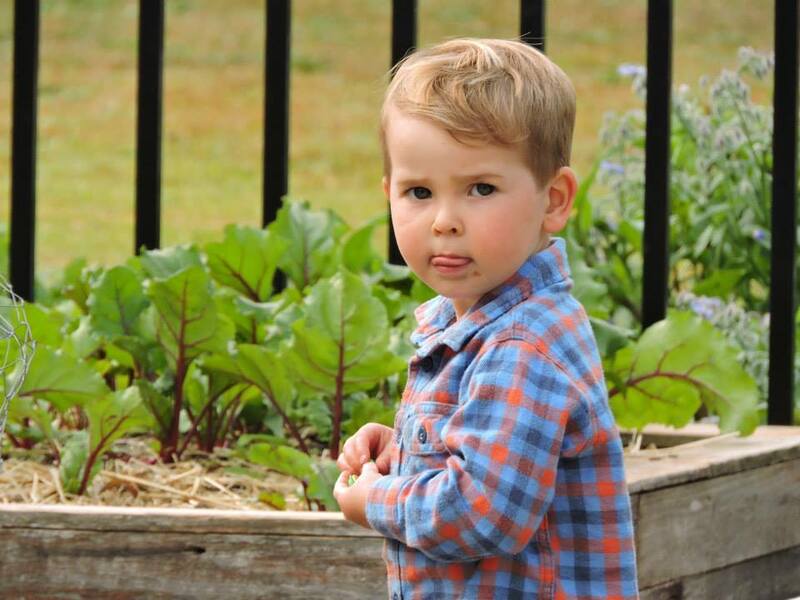 Now I have a little boy, I often bring him to the garden on a Thursday morning. Favourite Part of the Garden: The basil plot! It has made for many delicious pestos. Favourite tool in the shed: I'd have to say the crowbar, or the mattock. I love getting physical in the garden! However now with my little boy, I seem to be using a little trowel and the kids watering cans more than anything else! Coming soon to the website will be some before and after photos, in an expanded section on the 'History of The Lost plot'.